These chakra stones are carved into a diamond shape. This shape allows flow of energy in all directions. 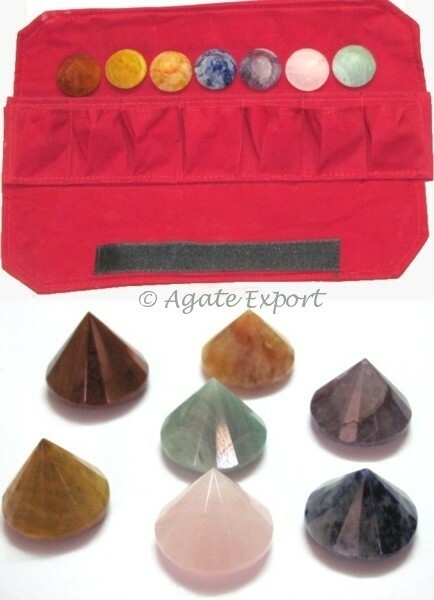 Agate Export brings you Chakra Diamond Energy Set at a fair price.